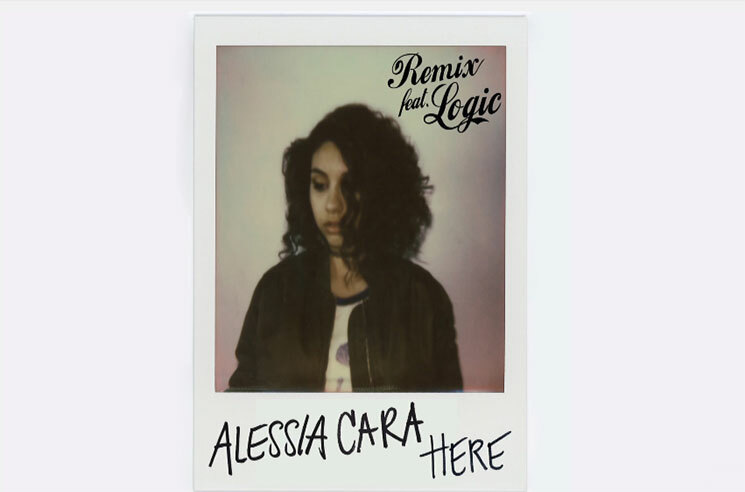 Brampton, ON-bred R&B star Alessia Cara is in the midst of touring her debut album Know-It-All around North America, and has found time in the busy tour itinerary to drop a remix of her slinky single "Here," featuring Maryland rapper Logic. In place of Cara's original second verse, Logic spits a few quick bars about his own time at the world's worst house party, surrounded by love interests who want nothing more than access to his bank account ("It seem like these women is needy, but all that they wanting and needing is money"). Take a listen to the Logic-assisted remix in the player below. As reported earlier today, Cara has also been nominated for several Juno Awards this year.